Yesterday, we heard from LT, whose husband was laid off three times over 14 years working in the pharmaceutical industry. Here are some of the more detailed financial tips that she has for families affected by layoffs. CJ: You mentioned that you're quite frugal -- can you talk a little bit about that? LT: I’ve always been a bargain shopper, but I go into super-saver mode when necessary! I mentioned eliminating all non-essential monthly expenses. When the 2009 layoff happened, we stopped a gym membership (check your contract—some have a clause for unemployment, ours did), cut the cable back to basic, stopped the newspaper (except Sundays), stopped the lawn care service and got rid of our land-line. I cut way back on buying any type of snack foods and my all-time favorite: diet coke. I made iced tea instead, or just had water. I stopped buying paper towels, and I still just use washable rags. I made most of our bread, rather than buying it, and I experimented with other homemade items, like bagels, yogurt and granola. All dinners, lunches, coffees or any fast food out stopped as well. I went almost a year without a haircut. All car and home maintenance was deferred. Our one big expenditure was a water heater, which we couldn’t put off replacing. At the beginning of the month, I contacted the 3 ACS presidential candidates, Bryan Balazs, Charles Kolb, Jr. and Diane Grob Schmidt and asked them if they would like to comment on jobs related to chemistry employment and unemployment. Dr. Schmidt responded yesterday; her response was delayed by jury duty. Dr. Schmidt: From my perspective, the Career Fairs where employers and job seekers are connected directly seem to be the most effective for members in getting a job. Balancing supply and demand has been problematic and complex. On the front of keeping a job, lifelong learning by keeping oneself employable is key. ACS offers a number of chemical courses through Sci -Mind and job hunting skills through Career Services, for example. Leadership skills development is provided via the ACS Leadership Institute. The many tools that ACS offers to job seekers was recently outlined in C&EN to help create awareness of what is available to job seekers. In terms of improving career fairs specifically, reaching out beyond the major, global corporations to midsized and smaller firms to participate in career fairs is an opportunity area. Dr. Schmidt: The long term good of the nation and its ability to innovate requires scientific and technical competence. The prosperity of the country depends on innovation. More talented students entering STEM fields vs. other career alternatives would be a plus for the nation and our economy. There are fewer students coming from abroad to the U.S. and staying. There is an advocacy opportunity to update our Visa system. The funding and numbers issue is a complex one because of the long lead time to “produce”/educate a scientist. However, one thing is for certain: if we do not train them, we will not have them in the future when the nation needs them. A capable, trained workforce is a critically, important factor to building and sustaining a thriving economy. More attention to preparing students to enter industry merits attention. The reality is the majority of the jobs are in industry. We still need to keep the pipeline of talent flowing to build our economy. Regarding salaries, the 2012 ACS salary survey states that salaries have weathered the 2007-2009 recession. It further states that chemists’ salaries are back to pre-recession levels. While this is encouraging, improvement in salaries is still needed to recognize the value contributed by chemists. The landscape of employment opportunities is clearly challenging. The reality of a global economy and a global workforce is the landscape in which job seekers must compete. 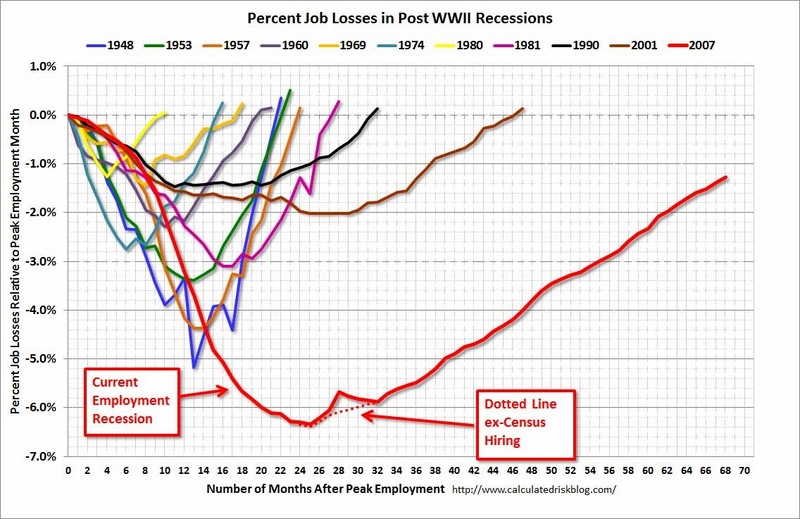 On actual employment, approximately three hundred thousand (not all chemists, but plenty of chemists) have lost good pharma jobs in the past ten years. In fact, the average is quoted as being about 42,000/ yr. based on a quick Google search. Government cuts: Our chemist colleagues in government, who are currently coping with both the sequester and the recent government. “furlough”, have certainly experienced income losses. Grant Seekers: Our chemist colleagues who are applying to government agencies grants likely have current thoughts and data from their experiences with the grant process. CJ: Each ACS Presidential candidate, for at least the past decade, knows the challenging job market facing ACS members and inevitably speaks of growing jobs in the U.S. Specifically, what tangible steps would you take to increase the number of chemistry jobs in the U.S., and is this something you really think is achievable? Dr. Schmidt: The reality is that ACS alone cannot create jobs. ACS can, however, help create a climate for job creation in the U.S. via its advocacy programs. It is a time for bold action regarding jobs. I welcome ideas and suggestions from your readers. Advocacy: Increasing our ACS advocacy efforts at the federal, state and local levels. The return on investment of R&D funding is significant vs. other spending options. Our elected government officials are key partners in helping increase jobs and build our nation’s economy. The ACS Government Affairs Groups, as well as the advocacy consortia ACS works with on shared issues of concern like jobs are key avenues to amplify our efforts to create more jobs for chemists. Education: More attention to preparing students to enter industry merits attention. The reality is the majority of the jobs are in industry. A capable, trained workforce is an important factor in a thriving economy. Certainly it is an important factor in an industry’s decision of where to locate their operations. Identify new models to connect and create "job rich environments": There are many technology transfer units on university campuses to connect and partner with industry. A model to connect academia, industry, government labs and non-profits is a relatively unexplored arena for potential job creation. I believe there is great opportunity there to ignite and release some untapped job creation. Dr. Schmidt: There were many mixed messages and interpretations from the media on the impact and duration of the economic realities that became the Great Recession. The ACS had in place contingency plans to assure the financial sustainability of ACS and the services it provides to the members, including the many career services that ACS provides to members. Services to unemployed members did increase during this period, e.g. the ACS on-Line Job Club. The magnitude of the increase in unemployment during the Great Recession, however, seemed greater than these efforts could address. Stepped up advocacy for a national infrastructure that attracts employment is needed now and in the future. By creating a nation where there are well educated technical professionals and an infrastructure ready to support and embrace the future and the changes that come with it are needed. Thanks to Dr. Schmidt for her answers. ChemBark has a very useful link summary. Good morning! Between October 29 and 30, there were 20 new positions posted on the C&EN Jobs website. Of these, 6 (30%) are academically connected and 11 (55%) are from Kelly Scientific Resources. Sales: Oxford Instruments is looking for a technical sales manager for its NMR-related products. Richmond, VA: Evonik is looking for a M.S./Ph.D. chemist to do technical support/project management for agricultural formulations. A broader look: Monster, Careerbuilder, Indeed and USAjobs.gov show (respectively) 202, 729 and 2491 and zero positions for the search term "chemist." For the job title "chemist", LinkedIn shows 133 positions, with 5 for "organic chemist", (a different) 5 for "synthetic chemist", 21 for "analytical chemist" and 4 for "research chemist." The Layoff Project: "Realize you are not alone." Our most recent Layoff Project submission is from LT, who is unusual, in that it is her spouse (not her) that has been laid off from positions in pharma. This submission was lightly edited and redacted by CJ and checked for accuracy by LT. She is a tenured professor of chemistry. I felt LT's comments were noteworthy because she said that she guided her family through 3 layoffs without touching savings, a real achievement. Today is going to be her experiences with the layoffs, while tomorrow will focus on her financial tips for surviving it. CJ: Can you talk a little bit about your experience? LT: We’ve been through three layoffs. The first one was at a “big pharma,” the second was at a biotech and the third was at a contract research organization. They’ve spanned a 14 year period, so we’ve been at very different stages as a family and the circumstances surrounding each were quite different as well. The first time we found ourselves unemployed, we had two small children (preschool and elementary school) and I wasn’t working. Both my husband and I have PhD’s so we had the typical “two-body” problem finding jobs. I opted to take some time with our children when he landed the big pharma job. I did work for a while during those few years, but between my commute and daycare for two children, financially, I was making about what I did as a TA in grad school, so I decided to step away from my visiting assistant professor gig to devote time to our children. His employer announced that the company was going to be purchased by another company. Not knowing how everything worked in those circumstances, he assumed everything would be ok, since at one of their meetings, upper management said they’d be “shocked” if massive layoffs occurred. Well, a few months later he was out of work, along with lots of other folks! Credit: Harris et al., Org. Process. Res. Dev. The workup of the Saegusa reaction involved the addition of triethylamine to reduce any residual palladium(II) to palladium(0) which then precipitated and was removed by filtration through Celite. This reduction to palladium(0) was not 100% efficient and the residual palladium(II) in solution caused oiling during attempts to crystallise product 4. Replacing triethylamine with aqueous potassium formate in the workup gave a more efficient reduction of palladium resulting in large particles of palladium(0) that were removable by simple filtration (<80 ppm Pd by ICP). The efficient removal of palladium allowed the development of a crystallisation of phenol 4 from MeTHF with heptane as the antisolvent. The optimised process was carried out in the pilot plant to prepare 11 kg of phenol 4 in 42% yield from compound 8 with a further 2 kg product remaining in the liquors. The potassium formate workup not only avoided the requirement for chromatography but also allowed the efficient recovery of palladium from the process. Of the 10.5 kg Pd metal used, 10.3 kg was recovered and sold back to Johnson Matthey for a profit of £62.5 K as a result of the doubling of the price of palladium during the campaign. However, due to the volatility of palladium prices an alternative route avoiding stoichiometric Pd(OAc)2 was desired prior to further scale-up. Got a lead? See Arr Oh could use a lead. See Arr Oh is looking for a job; needless to say, it's pretty brutal out there. E-mail him at seearroh -at- gmail/dot/com if you've got a lead. Ask CJ: what about teaching postdocs? I'm wondering what you think about "teaching postdocs" -- postdoc positions with a 50% teaching / 50% research component. Those I've seen typically involve teaching one lecture course per academic term and may involve engaging undergraduate students in research. To me, this type of postdoc sounds perfect for someone who intends to seek a tenure-track position at a liberal arts college or PUI. However, almost all faculty members I've spoken to (at the large, research-intensive university I attended for grad school and at the large, research-intensive university I currently work at as a postdoc) think the teaching postdoc is a terrible idea, a career killer. I would like to attribute their opinions to the fact that they are professors at research-intensive universities, where a traditional postdoc is a requirement for being hired. However, many have claimed that a traditional postdoc is preferred even by the higher-ranked liberal arts colleges. This surprises me because the higher-ranked liberal arts colleges are, in many cases, precisely the institutions that offer these teaching postdoc positions. Teaching postdocs seem so comparatively uncommon that reliable statistics perhaps can't be gathered on the future careers of those who go through such a program. I'll gladly accept wild speculation... or random personal anecdotes from your readership? My cynical side is bothered by the fact that the job description for a teaching postdoc sounds virtually identical to that of a new faculty member, but the postdoc comes without the equivalent salary or job security. Still, that alone wouldn't convince me not to recommend a teaching postdoc position. Do they come with influential PIs that write great letters for them? I suspect not, but I could be wrong. The likelihood of tenure-track hiring committees being able to "imagine success" with such candidates are low, since the population of assistant and associate professors at PUIs who have come through teaching postdoc positions are not high enough. I agree completely that there just aren't enough of these teaching postdocs to make a complete study of what their careers have been like. I assume that most of them are both talented teachers and researchers and did just fine in obtaining PUI tenure-track positions. But that's just conjecture on my part -- the opposite could easily be true. Readers, I doubt I know enough about this issue to speak intelligently on it. Know any teaching postdocs? How have they done? UPDATE: Professors on Twitter weigh in. Also, do note Andre's comments. Good morning! Between October 24 and October 28, there were 88 new positions posted on the C&EN Jobs website. Of these, 21 (24%) are academically connected and 62 (70%) are from Kelly Scientific Resources. St. Louis, MO: Monsanto is looking for a M.S./Ph.D. chemist to be a patent scientist. Interesting. Marion, OH: Nachurs Alpine Solutions appears to be a fertilizer company; they're looking for a B.S. chemist to perform bench research. Torrington, CT: Dymax is, once again, looking for a senior adhesives researcher; M.S./Ph.D. with 5-10 years experience. A scientific consulting firm based in Washington, DC, is searching for qualified candidates to fill the position of staff scientist. The successful candidate will play a role providing chemical and toxicological support for the safe use of food ingredients worldwide. Although experience must be developed in a wide range of disciplines (organic chemistry, metabolism, biochemistry, molecular biology and toxicology), the applicant must possess a Ph.D in organic chemistry or biochemistry/pharmacology/toxicology with at least 5-10 years experience in a field related to food ingredient safety, such as natural products chemistry, clinical chemistry, or chemical toxicology. Related experience, for example with trade associations, interactions with regulatory bodies, and government advocacy experience is highly desirable. A viable candidate must have strong presentation and interpersonal skills and be adaptable to a wide variety of audiences and expertise levels. The candidate must be able to communicate complex scientific topics to less technically trained audiences and the media. Syracuse, NY: Syracuse University is looking for an assistant professor of biochemistry; it will be a joint appointment between the chemistry and biology departments. Riverside, CA: University of California - Riverside is looking for 3 professors of materials chemistry, 2 at the assistant level, 1 at the senior level. Akron, OH: The University of Akron is looking for an assistant professor of analytical chemistry, analytical or bioanalytical focus. San Marcos, CA: CSU - San Marcos is looking for an assistant professor of organic chemistry. New York, NY: This lecturer position at Columbia (starting at 49k!) is very interesting; I wonder if it's a good idea for a postdoc. Sounds like you'll be brought in as a postdoc to teach a liberal arts/science fusion course for up to 3 years; interesting. The Department of Natural Sciences at Cardinal Stritch University is seeking a qualified candidate for the position of a non-tenured track (with the possibility of moving to tenure track in the future), renewable, full-time assistant professor of Chemistry beginning August 2014. University, MS: Ole Miss has posted a position as "Director of the National Institute for Undersea Science and Technology"; how is this not from a Clive Cussler novel? Monday challenge: how fast can you complete this Pew Science Knowledge Quiz? This is a fairly simple 13 question test of "science knowledge" as measured by the Pew Research Center. Every single reader of this blog, I don't doubt, is capable of scoring 13/13 on it. Here's my question. How fast can you do it, from the first time you click "Begin Quiz" until you click "Get Your Results"? For me, 47.92 seconds (as measured by clicking "stop" on online-stopwatch.com.) Every single one of you could beat that. I'll try again tonight. What should I expect for my membership in the Division of Organic Chemistry? What are the benefits of ORGN membership? You join the premier society that supports, educates, networks, and advocates for organic chemists. You will receive an annual Newsletter containing information about divisional and joint programs at National ACS Meetings, details about presenting papers/posters at these meetings, deadlines for paper submissions, and notices of other meetings of interest. You can view the completed Abstract Booklet in electronic form for papers presented at National Meetings by the Organic Division, including those cosponsored with other divisions. You can access the Members only portion of the website and view a clear presentation of your Membership Profile and post your information in the Division Directory for networking. You will receive discounts on books from selected publishers. Access the Link (For Members only on the Book Discounts Page. Through the process of nomination, you can participate in selection of speakers at the National Organic Symposia. Through yearly input by nomination, you can assist in selecting the Officers of the Division. By further individual or group involvement, you can contribute to enhancing the stature of the field of organic chemistry in and outside of the ACS. That's not really a compelling list. I do actually read the annual Newsletter, but it's mostly internal Division business that isn't particularly interesting to me. I don't go to enough ACS National Meetings to get me very excited about the Abstract Booklet. I'll tell you what used to make me happy about my DOC membership: the annual copy of Organic Syntheses that I would get in the mail. Man, that little brown booklet made for great reading and a real sense that I was part of something. I will still (for the meantime) cough up the $15 for my dues, but it's more out of inertia than anything else. This is the problem with that move they made, by the way; by getting rid of paper copies of OrgSyn (A Worthwhile Endeavor), they removed the one tangible, useful, Item Full of Truth that you'd get from the division. Now, it's just a sort of vague sense-of-belonging* -- and the Division is too big (14,000 members?) and too diffuse (who IS an organic chemist, exactly?) to make that mean anything, I think. Do you know what would make me really excited to be a DOC member? If I got exclusive access to high-quality video of every presentation from NOS and every ACS national meeting. That, in my opinion, would be worth my $15, and it might even be worth another $15 on top of it. *This is the generational problem that both the Division and the ACS itself needs to face, by the way: that "sense of belonging" used to work in the 1950s and 1960s doesn't seem to work anymore. It makes me wonder if this is a problem with the profession/chemical enterprise, or if it's actually a problem with American culture, broadly speaking. I wish I didn't feel the need to remind The Powers That Be that long-term unemployment is A Bad Thing. It's probably just me. This comment by H. N. Cheng and Mike Morello about ACS activities and international chemists is rather obfuscatory, I think. If you read the title, it's "Helping Chemists Thrive Through Global Connections." Here I was, thinking it's part of ACS President Marinda Wu's initiative to help U.S. chemists get jobs overseas. But no, it's not: "Prior discussions with divisions in 2011 elicited suggestions that ACS take more of an international role by either hosting or cosponsoring international meetings, holding more virtual meetings, providing visa tracking and assistance, and reducing registration fees for international members." Not that there's anything wrong with that, it's just a crummy title, I feel. That unpaid postdoc in La Jolla? Yeah, it was meant for a volunteer. So I had to do some digging to find out which one posted this, and I found out that the listing was posted by a researcher named Laura Crotty Alexander. She's a physician at the VA San Diego Healthcare System who doubles as a UCSD faculty member. I couldn't reach her for comment. If Alexander's listing looked like a terrible opportunity, that's by design, according to VA chief of staff Robert Smith. "Frankly, what she was trying to do was make it look unappealing," Smith said. "Because she was trying to create an advertisement that nobody would apply to." You see, the VA lab already had someone in mind for the position: a postdoc from Egypt who actually volunteered to work for free. But to take on a non-citizen, even as a volunteer, Alexander felt she had to advertise the job to citizens first. So she posted an off-putting ad to Craigslist and hoped no one would apply. Smith said, "This whole convoluted series of things gave what I think is a very misleading appearance of what she wanted, and what the VA — and for that matter, almost anybody — does." When online outrage turned into a roar, the VA's human resources department told Alexander to take down the listing. However, the ad did describe a position the VA intended to fill. I would love to know what Dr. Alexander was thinking. I assume that this is some sort of cultural/scientific exchange, but surely there are immigration visas to satisfy these sorts of requirements. Why does the article say that she "felt" she had to advertise the position to citizens? How strange. UPDATE, 10/28/13: I have been remiss in noting that on Twitter on Friday, the relevant reporter (David Wagner) and Twitter user @Lewis_Lab engaged in a spirited conversation where Lewis_Lab said that he understood that the person from Egypt was a visiting professor who would be paid out of their position in Egypt. (I'll link to the relevant tweet tonight.) Assuming this is true (and that makes a lot more sense), there is obviously some sort of disconnect/misunderstanding between what she said to Lewis_Lab and what her superior, Dr. Smith, said to the reporter. *Yes, yes, there's the infamous YouTube video of an immigration attorney explaining the process; such mustache-twirling villains are relatively rare, I hope. ** I sense this is not a H1b-relevant position, but maybe I'm wrong. Need a recipe for an organic transformation? 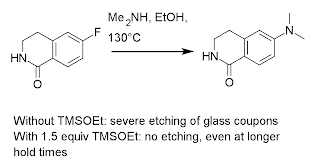 Aldehyde to oxime to nitrile not working? Need to add three carbons to an acid to make the 1,4-keto aldehyde? Since the mid-1970’s, I have been building a database of organic transformations, from reducing a ketone in the presence of an aldehyde (and vice versa) to methods for isoxazole synthesis. Now that I have retired from teaching, I can offer an inexpensive search service. Just email me the search, we will discuss back and forth until it is clear exactly what is wanted, and I will send you brief descriptions with references. The cost? $100 search, or $2000/25 searches in a year, $10,000/150 searches in a year, payable ahead of time. I will only charge for the search if the customer is satisfied. This is more economical than SciFinder, and more efficient, since the results are intelligently filtered. What about those two searches? If you would like to know more, send me an email (CJ's note: taberdf -at- udel/dot/edu), or give me a call. He then gives his cell phone number, which I was a little bit surprised at. I can't say that I'm completely shocked at the existence of such a service, but I think that it is interesting that he is monetizing his personal list of references - not a terrible idea, really. Also, I think that he says that it's more economical than SciFinder (true!) and more intelligently filtered (definitely true.) I wonder what other literature searchers/consultants charge, and how it compares. I am interested to see if his price point is reasonable and who will use it -- industrial researchers? I might use it for work, but it'll be one-off sorts of things. I wonder if his prices will be negotiable? Hmmmm. “Despite the uncertainty being fueled by political gridlock in Washington, the fundamentals of our economy appear to be healthy,” said Dr. Kevin Swift, chief economist at the American Chemistry Council. This month’s Chemical Activity Barometer is up 0.3 percent and this follows upticks in August and September as well,” he said. Though some recent reports have hinted at a slowing of consumer spending, these are likely related to news coming out of Washington, according to Swift. “Production of plastic resins used in consumer applications appears actually to be strengthening, suggesting further gains driven by consumers. This bodes well for retailers as the important holiday shopping season approaches,” he added. Other notable benchmarks within the barometer also held strong. Chemical equities continued to outpace the overall market, as measured by the S&P 500 and inventories and new orders expanded, likely restored by a return of business confidence following the end of the government shutdown. 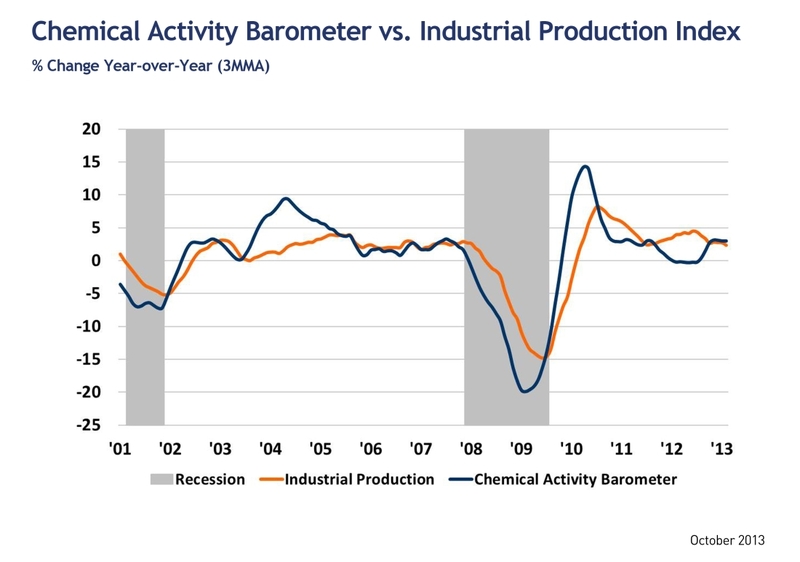 I have been holding the Chemical Activity Barometer at arm's length, because I don't think that it necessarily tracks with chemist employment or even the broader U.S. economy. That said, Bill McBride of Calculated Risk has been paying attention to it... so maybe I should be, too. How to negotiate for your dream job? What advice do you have on negotiating the offer package for something you'd consider a dream job? I'm lousy at negotiating under the best of times, but if I interviewed and got the offer, I'm pretty sure I'd just jump on it and say "yes! anything you'll give me!". Back story: I'd be moving from one big company to another one, and anticipate that most things (salary/benefits/vacation) would be comparable. Cost of living would be higher- but enjoyment of living would also be a lot higher. I don't have much experience with negotiating, other than to say that your negotiating power is (according to "What Color is Your Parachute?") never higher than when you have an offer in hand, but have not said "yes." My one positive experience with negotiating was letting drop (not on purpose, mind you, I'm not that smart/strategeric) on my first industrial job interview that I needed an answer quickly because I had another offer -- that it was an offer for another postdoc was perhaps besides the point. I came to find later that it moved my salary number and my title higher, which was nice. Readers, I don't doubt that you've faced Johnny Chan and headed to the cashier afterwards. Any advice for our reader? Check it out. A Big Pharma (Novartis) ad in the October 7, 2013 edition of C&EN. Man, when was the last time you saw one of those? "Between two and six years of related academic or industry lab experience." Green shoots? Irrational exuberance? Probably both. Good morning! Between October 22 and October 23, there were 16 new positions posted on the C&EN Jobs website. Of these, 12 (75%) were academically connected. Berkeley Springs, MD: U.S. Silica is looking for a Technical Service Chemist. Sounds interesting, more analytical than not? B.S. plus 5 years R&D experience. Houston, TX: Aaah. Looks like U.S. Silica is broadly hiring, with a Senior Technical Lead for proppants in the oil and gas industry. 10+ years experience. The Leidos Integrated Systems Group has a job opening for a Synthetic Organic Chemist at Aberdeen Proving Ground in Edgewood, MD. The candidate will participate in studies that may include designing, synthesizing, characterizing, and developing applications for molecules containing carbon which are of interest defense research. ...Position involves working with highly toxic chemicals which may include chemical warfare agents. -Candidate will be required to enroll in the PRP (Personnel Reliability Program) which requires medical screening/monitoring, the ability to wear a gas mask (respirator), and random drug screening. Come to think of it, it's not very mysterious. You know, back in the good ol' days of the Cold War, the Personnel Reliability Program was a fairly intense part of working at Strategic Air Command. A broader look: Monster, Careerbuilder, Indeed and USAjobs.gov show 202, 719, 2,440 and 11 positions for the search term "chemist." LinkedIn shows 131 positions for the job title "chemist", with 5 for "research chemist", 19 for "analytical chemist" and 4 for "organic chemist." 9:51: Do we want our children to go to graduate school in chemistry? 14:42: CJ: "Nobody wants to write that paper." 18:25: Why do women come forward with stories of sexual harassment? 28:27: Leigh: "And that's reality for you." 33:48: Leigh: "We need a voice." Thanks to Leigh for talking about this difficult yet important issue. *13:37: CJ misspoke by reversing the word order. **32:55 CJ's editing error: Leigh actually said "*Not* everyone who is a scientist is socially retarded." Credit: Hong et al., Org. Process. Res. Dev. In the midst of a recent OPRD ASAP , an interesting reminder of one of the little tools of process chemistry, the "corrosion coupon." A little explanation: It's a bad idea to do chemistry in a reactor that also destroys the surface of the reactor, be it glass or metal. A "coupon" is a piece of the same material that your reactor is constructed of; you weigh the coupon beforehand, do your chemistry with the coupon submerged in the solution and then weigh the coupon afterward. If the coupon loses mass, you have a material compatibility problem. with the glass-lined autoclave would be to scavenge the fluoride ions generated from the reaction mixture as they form. To this end, several experiments incorporating TMSOEt as a component of the reaction mixture were performed in Parr Hastelloy pressure vessels containing samples of the DeDietrich glass liner. 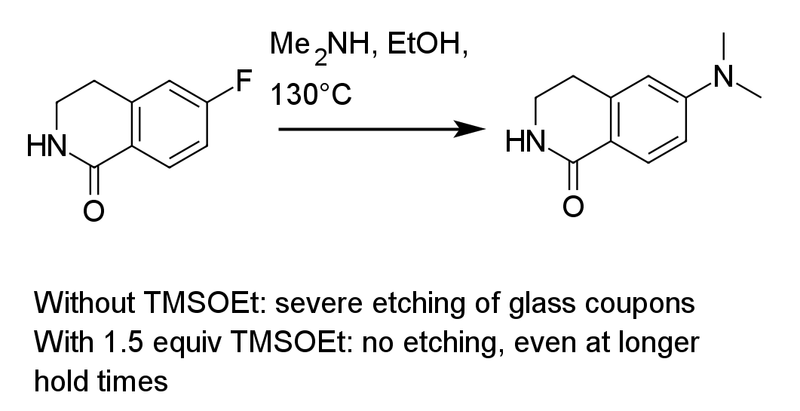 On a 10−50-g scale, addition of 1.5−3.0 equiv of the silane to the standard aminolysis mixture had no adverse effect on the course of the substitution reaction other than a modest reduction in apparent reaction rate. However, the glass liner samples were recovered essentially intact, even upon prolonged heating at 145 °C. Complete conversion of 3 was observed within 24−36 h.
Shutdown-delayed electrons from the Bureau of Labor Statistics, showing the National Unemployment Rate was down 0.1% for September 2013 at 7.2%. The broader U6 unemployment rate fell 0.1% to 13.6%. Chemical manufacturing employment fell 1,700 positions to 791,500 employed, the 2nd straight month of declines. The unemployment rate for bachelor's degree holders was up 0.2% to 3.7%; the unemployment rate for non-high-school-degree holders was down 1.0% to 10.3%. All in all, no real progress, but no real steps back. Thanks, as always, to Calculated Risk Blog. Bryan Balazs and Charles Kolb, Jr. have both had their responses to Paul's broader questions about ACS (and Paul's #chemjobs question) published. As Paul says, don't forget to vote! "If you are a job seeker, please remember to remain positive and turn challenges into opportunities!" At the American Chemical Society Council meeting during the ACS national meeting in Indianapolis last month, the Committee on Economic & Professional Affairs (CEPA) reported that unemployment is down for ACS chemists. When I ran for ACS president in 2011, unemployment for ACS members was at an all-time high of 4.6%. It has now dropped to 3.5%. ...If you are a job seeker, please remember to remain positive and turn challenges into opportunities! I welcome further suggestions to help members looking for a job at m.wu@acs.org. Perhaps it's my lugubrious nature, but if I were unemployed (I am not), I would find such a reminder to be irritating. Oh, well, it's probably just me. Acknowledging that Vitae may be made up of a disproportionate number of workaholics, Hatfield says the company looks for ways to help its employees to occasionally relax at work. Each year, the company hosts on-site barbecues, a Halloween party, a Ping-Pong tournament, and a luncheon to celebrate Chinese New Year. On any given day, employees can retreat to Ping-Pong and pool tables set up in the facility. It's funny to me how a Chinese New Year luncheon seems de rigeur these days; not necessarily the case 30 years ago, I suspect. P.S. These "e-mail free" weekends policies at J&J are interesting; I wonder if people actually follow through. ...However, there are clear drivers of organizational creativity that can be consciously built, enforced and which do positively impact creativity. And when in place, it also becomes evident that while there are more and less creative individuals, contributions to creativity can and do come from all angles, often by people outside of the depth of field under discussion because they have a fresh perspective. The drivers are a culture where ideas have no hierarchy, where managers are skilled at management and artfully disappear from moments of team success, where "leaders" are not modeled of off academic PIs where the presumption is the final scientific say sits higher in the organization, where teams have the strongest voice, where the breadth of the team is exposed to strategic goals not just tasks, where failure is safe and when safe to fail honest opinions about the potential of projects frees people to change direction and pursue ideas with merit instead of advancing toward goals that meet career objectives and satisfy internal metrics of success. WIth a unyielding belief in this and never wavering, creativity can be cultivated. And perhaps, the high jump analogy is incorrect in that success of highly functional drug discovery teams can be driven by one foot jumps by many members. I think the concept of productive creativity is too narrow if one assume's that creativity stops when the target or NCE is "discovered". Perhaps this contributes to our industry failings as I am quite sure drug discovery from this point forward requires as much or more creative energy. The part about "strategic goals" reminds me of the German military concept of Auftragstaktik, where subordinates are told the goal to accomplish, their assigned resources and the timeframe, not how to accomplish the goal. An Oct. 9 fire at a Dow Chemical electronic materials facility in North Andover, Mass., resulted in the death of production operator Carlos A. Amaral, 51. The cause of the fire was exposure of trimethylindium to air, according to a press release issued by the Massachusetts State Fire Marshal. Trimethylindium ignites spontaneously in air. Amaral died from injuries sustained in the fire. He may have been working alone in the lab where it occurred, said North Andover Fire Department Chief Andrew V. Melnikas. “No one knows exactly what happened,” he added. Carlos enjoyed watching soccer, and was a huge fan of Benfica. He enjoyed traveling, especially returning home to his native Portugal. He previously worked at Wang Laboratories in the 1980's, and for the past 14 years worked as a chemical technician for Dow Chemical in North Andover. Derek Lowe: good news for pharma chemists? Anon3: "Pfizer in the process of hiring 14-18 med chemists"
Dawning Realisation: "Rumor has it that this is serious and could be 50+ (yes that's fifty, not a typo) med chemists. All those students who have given up hope of ever finding their way into a big pharma outfit might want to start to reconsider. I hope the skeptics see this for what it is - some genuine good news to put some scientific muscle back into drug discovery." Scientist: "Looks like there will be 40 medchem jobs in USA, 20 in NC and 20 in PA and 20 in UK." One suspects that there's something behind these rumors, but it will take sustained hiring (250+ chemistry positions (all degrees) a year, industry-wide, for 3 years?) before I believe the market for organic chemists is back. I think I need to start tracking this more systematically than I have been. What should a student do when a PI leaves an institution on bad terms? Have you ever considered writing a post about how to handle a situation where a postdoc/grad student's PI leaves an institute on bad terms? 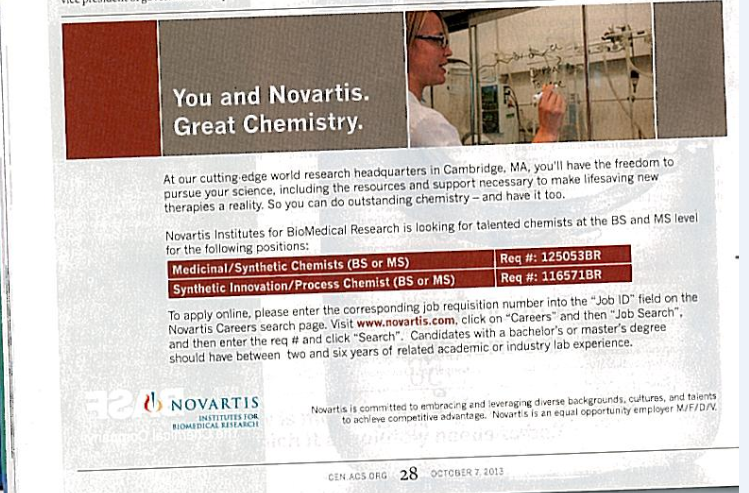 I've been scouring different chemistry forums for tips regarding this type of situation and while I've noticed lots of people have advice for young investigators transitioning between labs, I haven't been finding many tips on how to navigate a new job search when one's PI is burning bridges. To be honest, I don't have any great advice here. The most immediate example I can think of is when a PI is not granted tenure; obviously, the students/postdocs are affected negatively. Hopefully, 1) their PI is supportive when it comes time to letter writing and 2) other references are well-informed enough of the situation that they can separate the PI's actions from the student's qualifications and accomplishments. So, there's my advice: try to make sure that you have other people who will go to bat for you and that your other letter writers are aware of your accomplishments. That's not very helpful advice. Readers, I'm sure you can do better. Good morning! Between October 15 and October 16, there were 25 new positions posted on the C&EN Jobs website. Of these, 19 (76%) are academically connected and 2 (8%) are from Kelly Scientific Resources. Slim pickins today: As of late, there haven't been a ton of super-relevant positions, with the exception of academia. Madison, WI: Virent Energy is looking for a M.S./Ph.D. chemist or chemical engineer to be the director of catalytic materials; they're a biofuels company. Sounds interesting. A broader look: Monster, Careerbuilder, Indeed and USAjobs.gov show (respectively) 197, 671, 2388 and 8 positions for the search term "chemist." LinkedIn shows 121 positions for the job title "chemist", with 22 for "analytical chemist", 5 for "research chemist" and 1 for "organic chemist." Not bad, I suppose: This process development position outside of Chattanooga, TN doesn't look too shabby. B.S./M.S., 3-5 years experience, 70-75k. Between October 10 and October 14, there were 90 new positions posted on the C&EN Jobs website. Of these, 35 (39%) were academically connected and 39 (43%) were from Kelly Scientific Resources. "Boston and New York": Ropes and Gray has 2 openings in its technical advisor program for aspiring patent attorneys. Salary of $115,000 -- wow. Sinclair Research Center, LLC, is seeking a motivated analytical chemist to set-up a dose forumation lab. The primary function of this position will include: 1) Set-up and day-to-day management of an analytical laboratory, 2) Preparation of dose solutions and formulations according to specific study protocols and SOPs, 3) Develop, transfer and validate analytical methods, and 4) Perform dose analysis. Individual must be highly motivated, organized and have excellent problem solving skills. A B.S. in chemistry and experience in HPLC and GLP is required. Additional Salary Information: Salary will be comensurate with expereince. All of this could be yours, for $30,000 to $45,000. Tewksbury, MA: Cambridge Isotopes is looking for a B.S./M.S. QC chemist. Dalton, GA: Mohawk Industries is a flooring company; they appear to be looking for a B.S. chemist (0-2 years) to do research and testing. "Develop and maintain a colorfastness database." Huh. Santa Cruz, CA: UC Santa Cruz is looking for an assistant professor of chemical oceanography. Fascinating. Dallas, TX: The University of Dallas is looking for an assistant professor of chemistry; "Applicants with research interests at the interface between chemistry and biology, including chemical biology, bioenergetics, bionanotechnology, biomaterials, are particularly encouraged to apply." Boise, ID: Boise State University is looking for a Ph.D. chemist to look after its research instrumentation, specifically its 300 and 600 MHz NMRs. Favorite of crossword puzzles: The University of Maine (Orono, ME) is looking for 2 assistant professors of chemistry, an organic chemist and a physical chemist. Auburn, AL: Auburn University is looking for postdoctoral fellows in organic synthesis, towards forensic drug chemistry. Interesting reasons. Carson, CA: California State University - Dominguez Hills is looking for an assistant professor of organic chemistry. Dr. Kolb: Since I have been fortunate enough not to need ACSʼs career services I cannot speak from personal experience. I have heard good things about the personal career consulting service that features volunteer ACS members who provide practical advice on things like job search strategies, interviewing techniques, negotiating advice and resume preparation. These consultants are currently available remotely by e-mail and phone or in person at national and regional meetings. I suspect that face-to-face interactions work best. I do know from personal experience that local section meetings are effective networking events. I wonder if formalizing confidential career consulting services at the local section level, using well-connected section members as career consultants, would be more convenient and effective, especially for members desiring to avoid relocating. Dr. Kolb: I do not think that STEM jobs are a zero sum game, where if someone else gets a chemistry job it forever decreases anotherʼs chance of employment. There is a tremendous amount of science and technology that must be done if we want to sustain and enhance our economy, security, health and environment. Vectoring more bright and capable students away from STEM careers will not help. We need as many smart, articulate and entrepreneurial scientists and engineers as we can get, especially if they are properly prepared and motivated to revamp old organizations and found new ones that will create the more effective and efficient products and processes that we require. For instance, when I joined the company I now lead, I was employee number 7 and the only chemist. Today we have 75 employees, 25 are chemists or chemical engineers. We need more STEM graduates, but we need them equipped with the communication skills, the understanding of scienceʼs real role in the modern world, and the imagination to create tomorrowʼs science and technology organizations. Thatʼs how enough productive STEM jobs can be created. If I am fortunate enough to be elected I am pledged to work hard with other interested ACS members to achieve the goals stated above. Dr. Kolb: It seems to me that ACSʼs current career services are designed to help individual members to find and compete more successfully for the pool of current jobs, which is too shallow. I believe we need to work to deepen the pool by empowering members to identify how their interests and skills can be used to discover the new science and technology the world needs. If there is no organization interested in the work they envision, we should encourage them to create their own jobs. The US government distributes more than 2.5 billion dollars of research and development funding each year in Small Business Innovation Research (SBIR) funding to develop novel defense, health, energy, transportation and environmental technologies. Since 2002 I have served on a National Research Council committee that evaluates the SBIR program for Congress and the participating federal agencies. Our reports show that many small businesses, including very small, newly formed companies, win SBIR funding that leads to the creation of important new technologies and generates high technology jobs. Finally, we need to start these activities now and help prevent, not wait for, the next recession. Thanks to Dr. Kolb for his responses. The final candidate, Dr. Schmidt, will have her response published within 24 to 48 hours after it has been received. An unpaid volunteer biology postdoc? This is a joke, right? Currently looking for a part-time (15-30 hours a week) Biological Sciences un-paid volunteer researcher for an Academic Immunology, Inflammation, and Microbiology lab in La Jolla. Particularly interested in individuals who are highly motivated, function independently and efficiently, are already trained in microbiology and immunology, who have an excellent academic record, and who already have a graduate degree (PhD). • Isolate DNA, run PCR reactions (singleplex and multiplex), and analyze via agarose gels. • Experience works with methicillin resistant staphylococcus aureus (MRSA) in the lab setting. • Carefully record all experimental details and results. • Able to rapidly learn new techniques and multi-task. Good organizational skills. • Hard working, highly motivated and reliable. • Personable, plays well with others. The research goals of the laboratory are to elucidate the effects of cigarette smoke on bacterial virulence and myeloid cell function. The focus is on in vitro cellular human and mouse assays and bacterial function assays. Please submit a cover letter (brief statement about yourself and your goals), and attach a current resume or CV. This is a joke, right? Please? I am a staff scientist in [deleted] at [non-profit research institution (NPRI)]. The research group I work for has an interesting setup. The PI is a federal employee with an appointment at [federal agency research organization (FARO)]. This is where [their] salary comes from. We work closely with another lab in [Federal department] where the PI is a joint appointment between the [FARO and major research university (MRU)]. Between the two labs, about half of the people are employed by the federal government. They have been deemed non-essential and thus have been furloughed. The [Federal Department research center] has been closed to us since this morning. We do have lab space at [NPRI and MRU] that is not in the federal building that we can use. Losing access to the [Federal] building has disrupted our shipping and receiving. We no longer have access to computers and software in the [Federal] building which we use on a regular basis. We cannot order off of funding and grants that are managed by [Federal Department]. This is doubly painful since we lose the government discount and because ordering over the past few weeks has beeen strictly limited due to end of the fiscal year paperwork. In addition to these infrastructure limitations, the federally funded workers have had to attend meetings and fill out paperwork instead of doing research. Even the non-federal employees have had to take part in some of these meetings in order to ensure that the lab is kept running. The timeframes for certain experiments have been thrown off. We do a lot of work with [living subjects], which don't adhere to a government shutdown. My role as a chemist comes after the biologists have done their part of the experiment. When the biologists are furloughed, the experiment isn't ready for my part of the work. Ugh. Thanks to UW for writing in. Anyone else have a story? E-mail me at chemjobber -at- gmail/dot/com; confidentiality guaranteed. C&EN: "Shutdown Slams Federal R&D Workers"
What happens if the map leaves the boat, Jonesy?